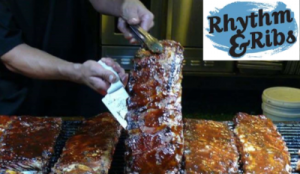 Award-winning barbeque will be available from regional and national champions, along with ice cold beverages and other food items like burgers and snacks. Barbeque voting takes place all weekend! A kid’s zone will also be open, complete with games, pony rides, rock climbing wall and rides. Kid’s zone wristbands are $20 on Friday, $25 on Saturday and $15 on Sunday. Tickets are $10 on Friday and Saturday and just $5 on Sunday (Rotary Family Day). Kids 15 and under are free all weekend. Hours are Friday 5 to 10 p.m., Saturday 11 a.m. to 10 p.m., and Sunday 11 a.m. to 6 p.m.
Francis Field is located behind the parking garage at 25 W. Castillo Drive in St. Augustine. Visitors may park at the parking garage or take advantage of the park-and-ride shuttle service. Click here for shuttle information. 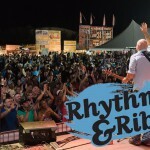 For more information, including the entertainment schedule, visit www.rhythmandribs.net.